ABAORD USS CARL VINSON, At Sea -- Much like successful investors, Gold Eagle plane captains attached to Carrier Air Wing (CVW) 9 and embarked aboard USS Carl Vinson (CVN 70) receive generous dividends for the work they do and the amount of time they devote to their assigned assets. Otherwise referred to as brown shirts, plane captains invest long days, hard work and every ounce of their knowledge and experience into ensuring multimillion dollar aircraft and their pilots make it safely back to the deck every day. According to the Naval Safety Center, modern naval aircraft are inherently complex, and plane captains often represent the sole source of expertise on daily and turnaround inspections. "Trust is the key. The pilots have to trust that everything has been inspected properly," said Aviation Structural Mechanic 3rd Class Keston Raymond, Helicopter Anti-Submarine Squadron (HS) 8 plane captain. "It's a good feeling when you know you've gained their trust." 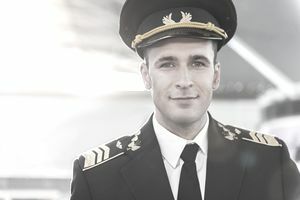 Plane captains spend 12 to 15 hours per day with their assigned aircraft. In addition to the constant inspections, brown shirts check fluid levels, prepare the cockpit for flight and ensure there is no foreign object debris that could damage the "bird." Prior to handing the aircraft over to the pilot, the plane captains act as the final set of eyes. "They prep the jets and get us ready to go," said Lt. Eric Taylor, one of Fighter/Attack Squadron (VFA) 147s F/A-18 Hornet pilots. "Without them, we couldn't do our jobs. We couldn't go flying." "The responsibility can sometimes be overwhelming," said Terrero. "Plane captains are like a safety for the (aircraft). I have the best idea of whats happening with my F/A-18." Although Navy plane captains tend to be some of the most junior personnel in the squadrons, the responsibility can be enormous. The plane, pilot, and mission can rest squarely on their shoulders. "No matter what rank the plane captain is, he controls the jet," said Aviation Machinists Mate Airman Xavier Terrero, one of VFA-146s plane captains. After coming to life in the squadrons line division, they spend anywhere from six months to a year fulfilling plane captain duties before moving on to a more permanent job within the squadron. "Being assigned temporarily to the squadrons line division gives the junior guys an idea of how the squadron operates and how it supports the Navy's mission," said Taylor. Sailors spend a minimum of 90 days learning the ins-and-outs before they can receive the prestigious title of plane captain, and have their names and hometowns stenciled on the belly of an aircraft. "(The initial training) gives them experience and knowledge of the airplane above and beyond (others) that go straight to work in their rate," said Aviation Ordnanceman 1st Class (AW) Dru Bond. Terrero has been a plane captain for almost six months and will soon move on to his job as an aviation machinists mate. At just 19, Terreros work as a plane captain has not only given him an advantage over his peers but plenty of tales to tell.